​These workshops can be taken individually or as a set of five. 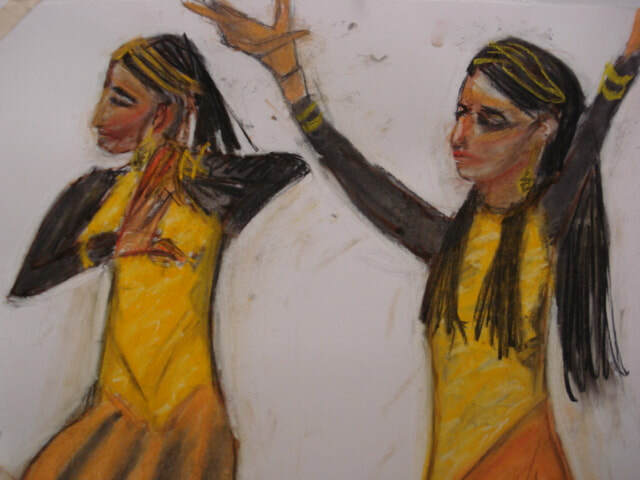 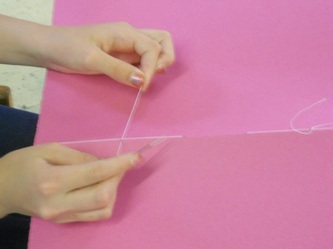 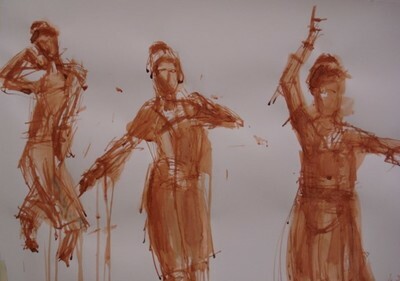 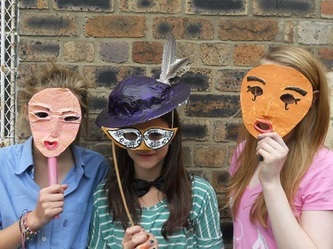 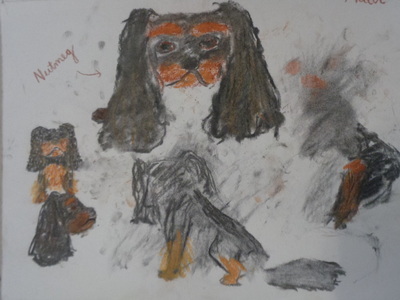 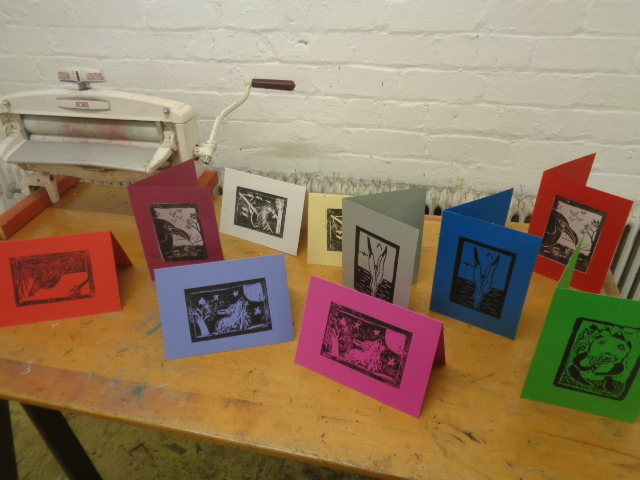 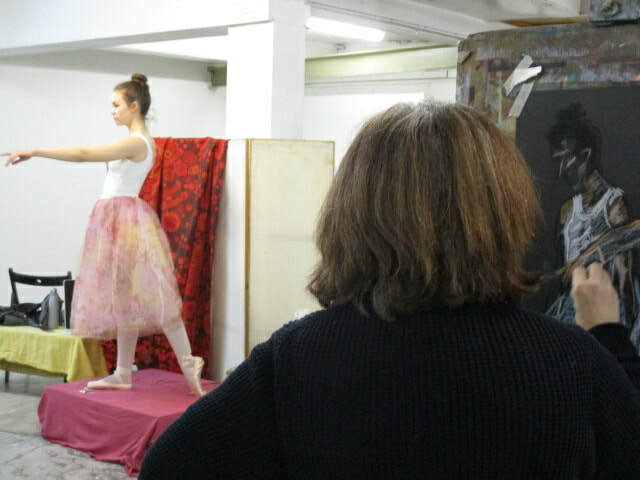 ​Some excellent work was produced in a variety of media during the 'Drawing Ballet' workshop on Saturday 2nd February. 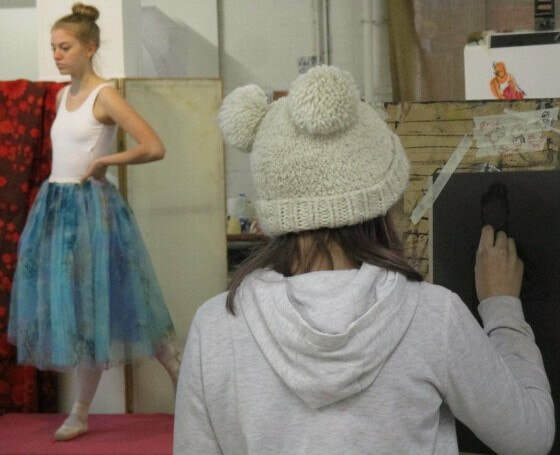 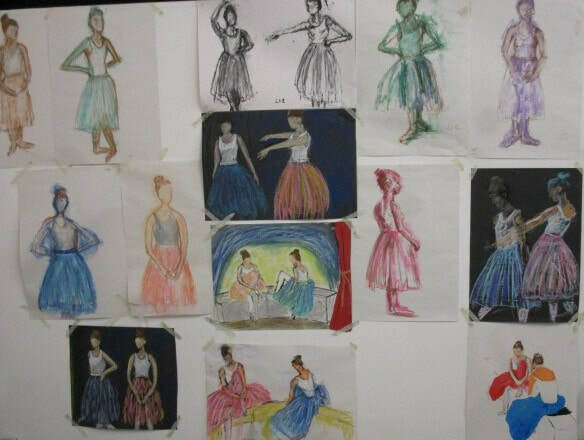 With the help of two lovely ballerina models the students worked on quick poses using charcoal, pastels and ink as well as longer sustained drawings that incorporated collage and mixed media. 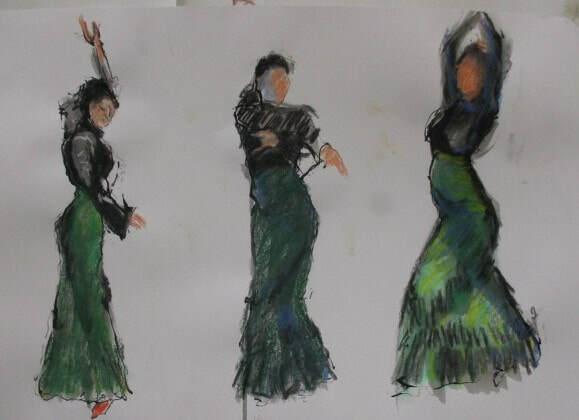 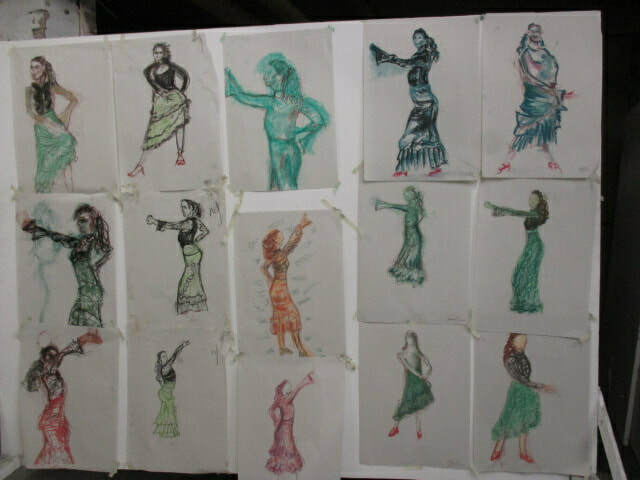 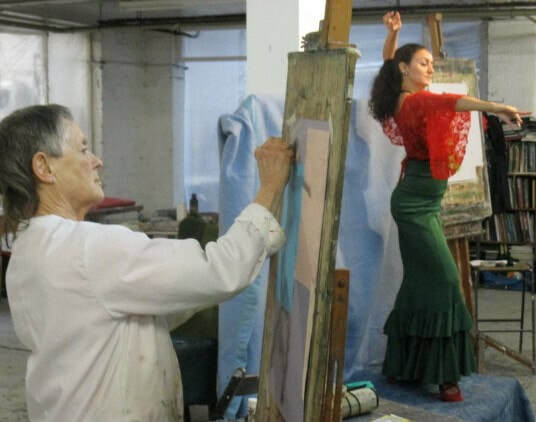 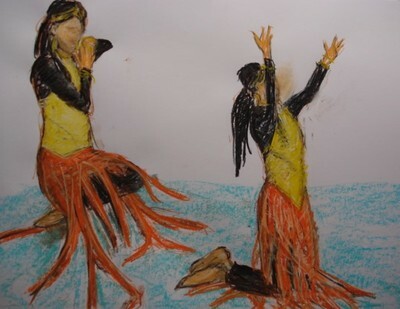 More fantastic work produced during the 'Drawing Flamenco!' 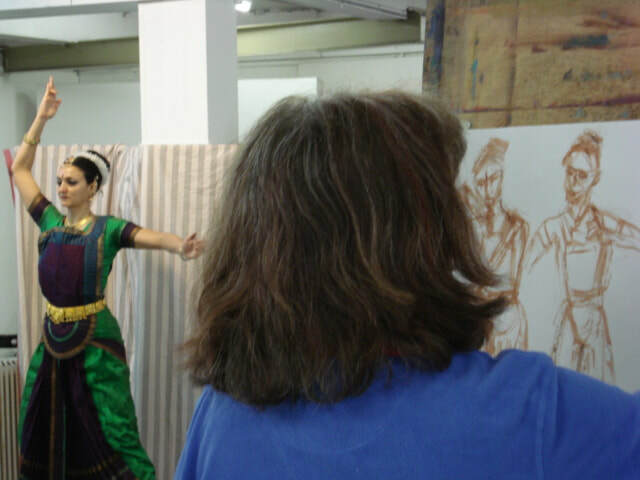 session on 23rd February. Thanks to our wonderful model Iraya. 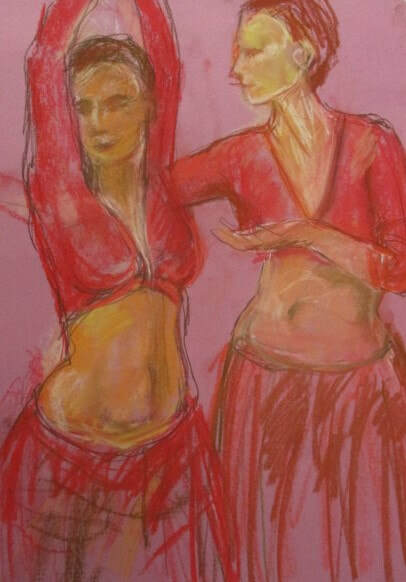 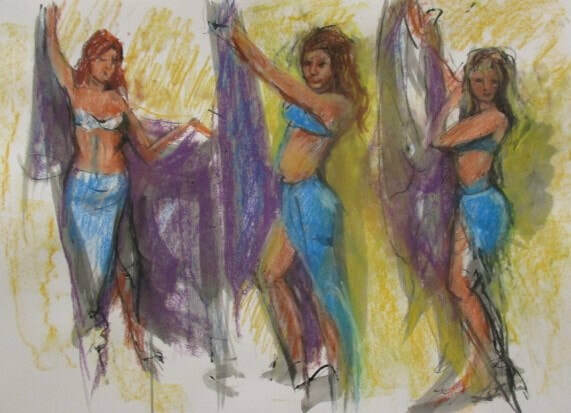 The Drawing Belly dance workshop on 30th April featured 2 terrific belly dance models Lara and Sylvia and some very dynamic and dramatic drawings were produced. 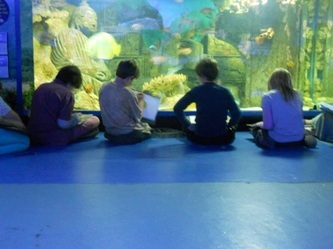 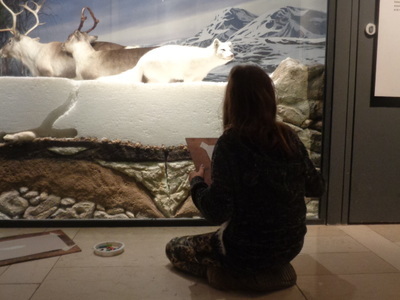 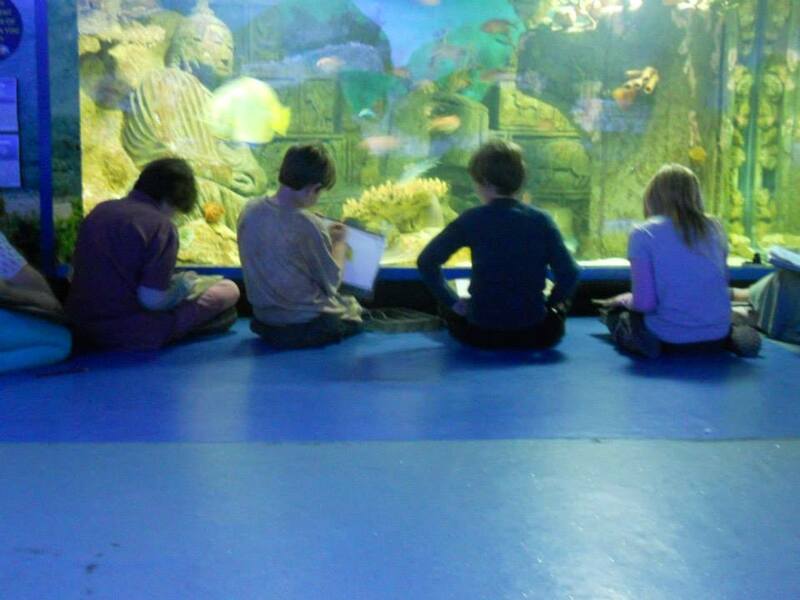 ​Inspired by the popular classes for children, this course will begin with drawing animals from life at the zoo and a bird of prey centre. 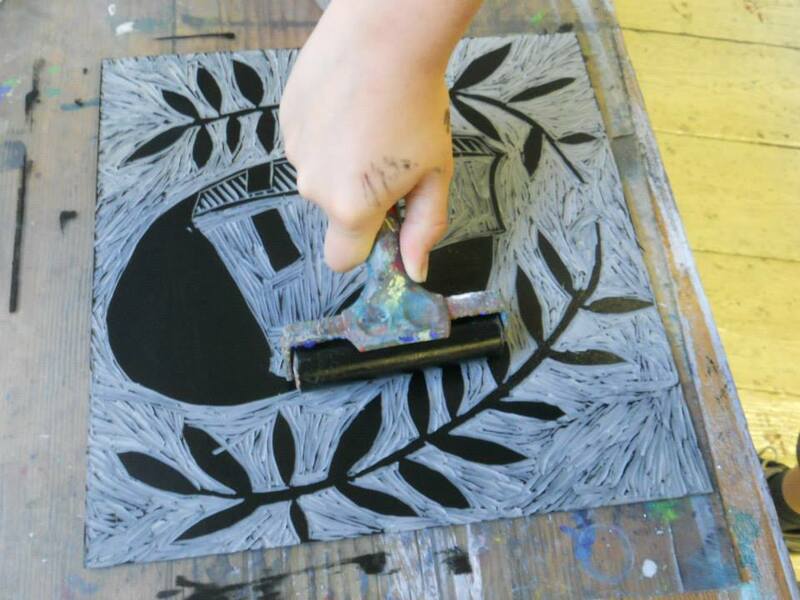 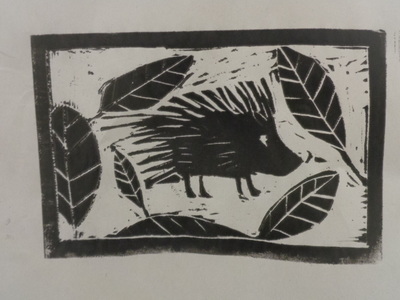 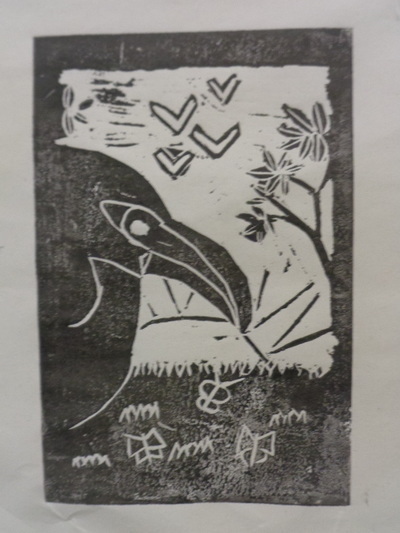 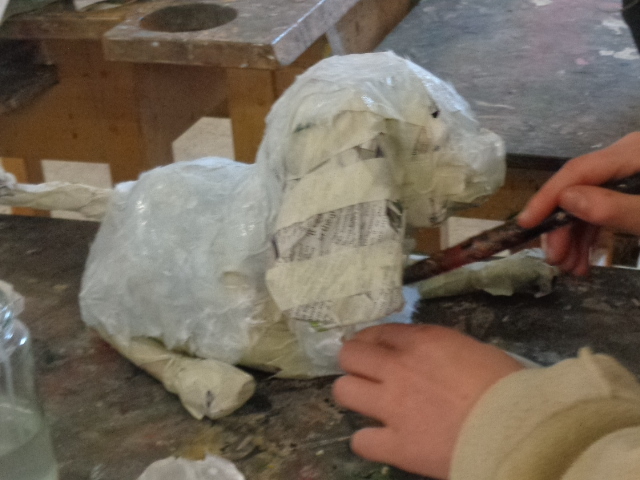 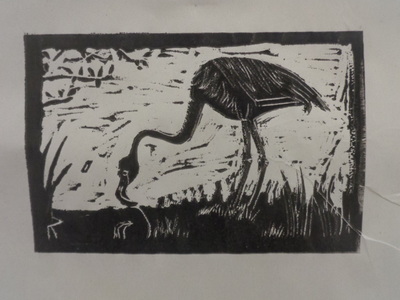 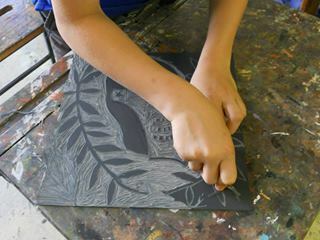 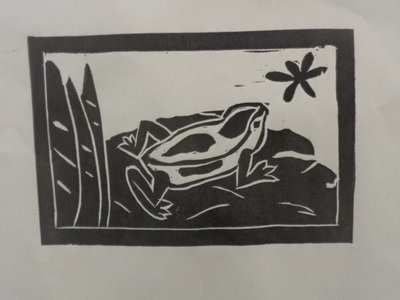 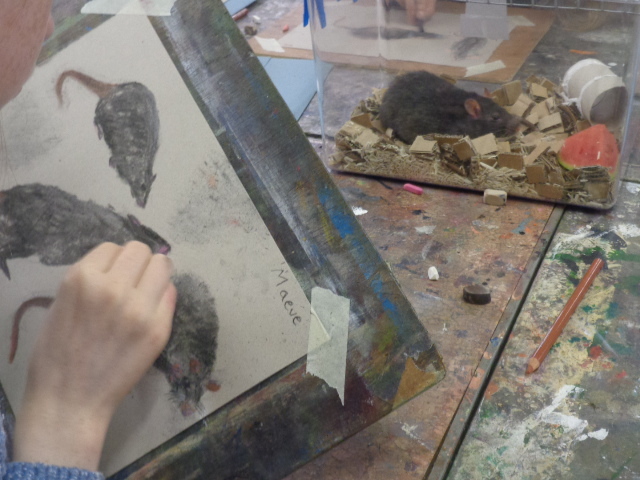 Students will then have the opportunity to work in paint, sculpture and printmaking using their sketches to produce a variety of work in the studio. 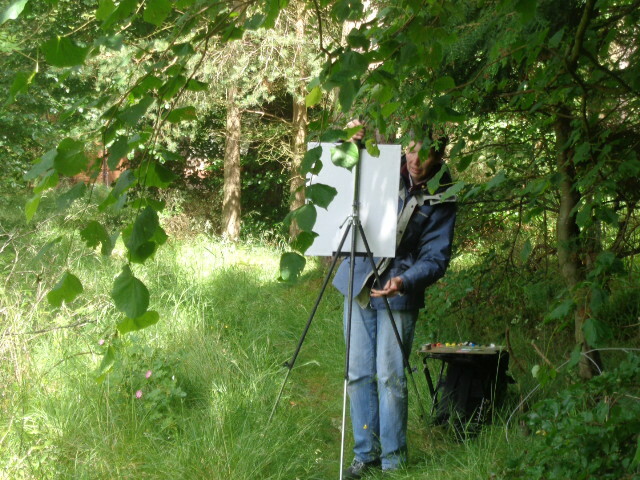 ​Working outdoors at the beautiful locations of Flotterstone, Temple and Gifford, students will be guided in the handling of alla prima oil paint. 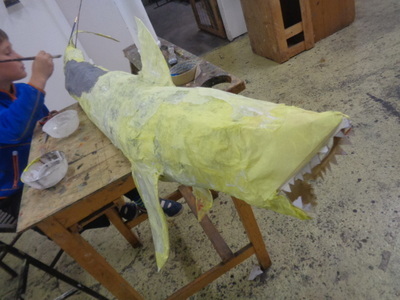 All materials and transport provided. 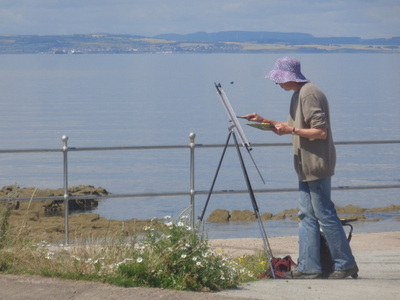 Landscape and Seascape Painting in Port Seton with Added Fishermen! 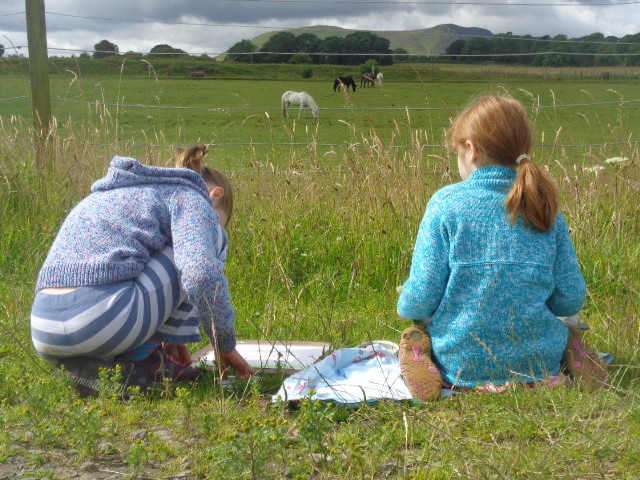 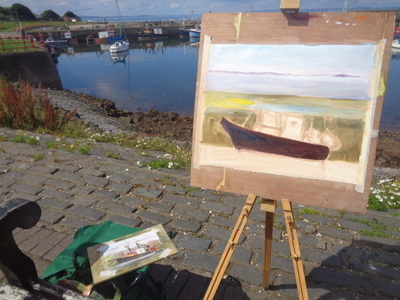 ​Based in the netting shed on the side of Port Seton harbour we will begin the week by exploring the location through sketches and mixed media studies. 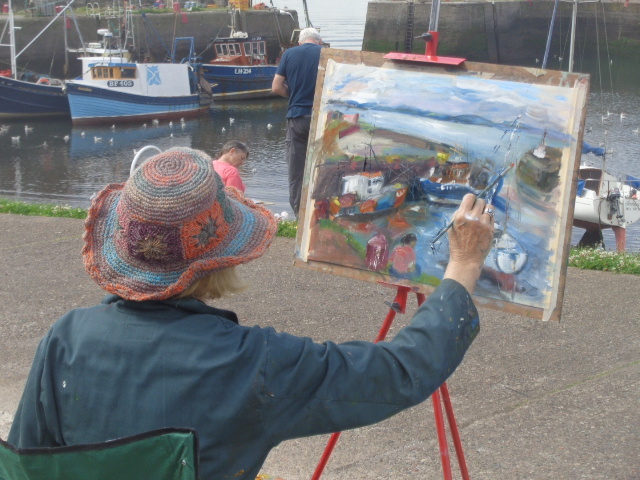 The aim will be to look at different aspects of the life of the harbour, the beach and seascape and themes related to these subjects. 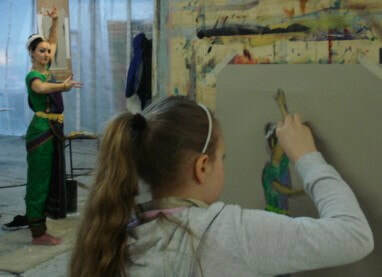 Students will be guided in the development of the ideas captured in sketchbooks into oil painted compositions on canvas. 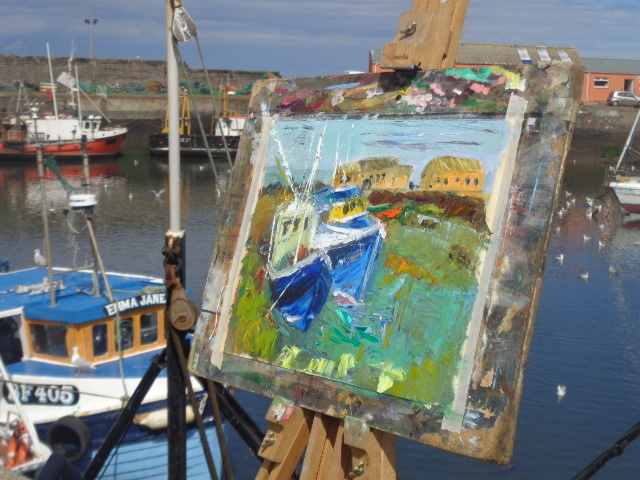 During the course of the week it will be possible to work on both alla prima paintings produced en plein air as well as on compositions built up in layers over several days, both outside and inside the temporary netting shed studio. 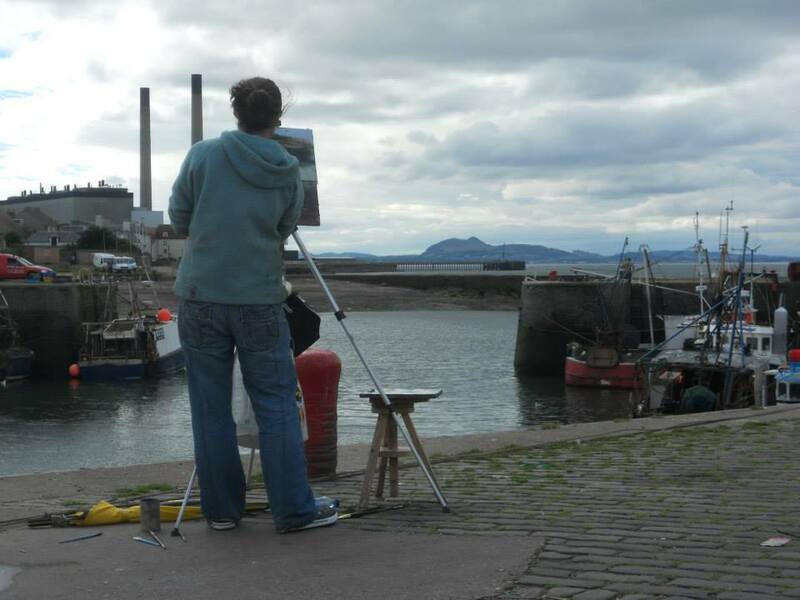 There will also be sessions with Fishermen models for those who would like to work with some figurative compositions. 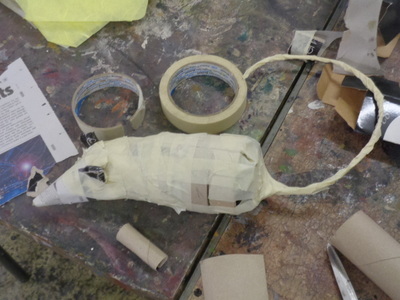 COST £350/£210. All materials and transport from Edinburgh included. 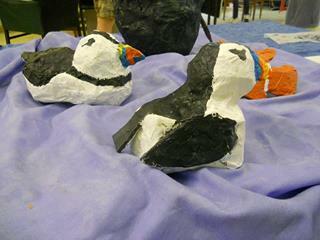 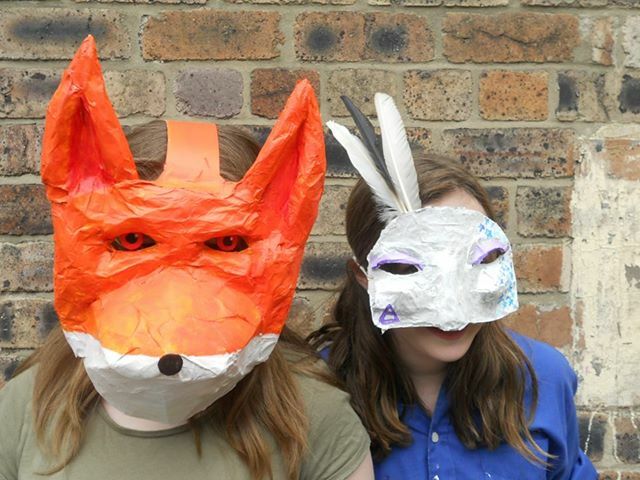 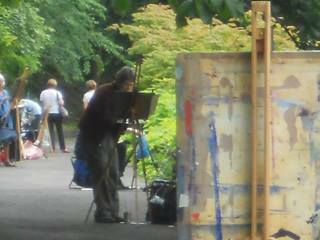 3 Saturday workshops based in Dr Neils' secret garden, Duddingston. 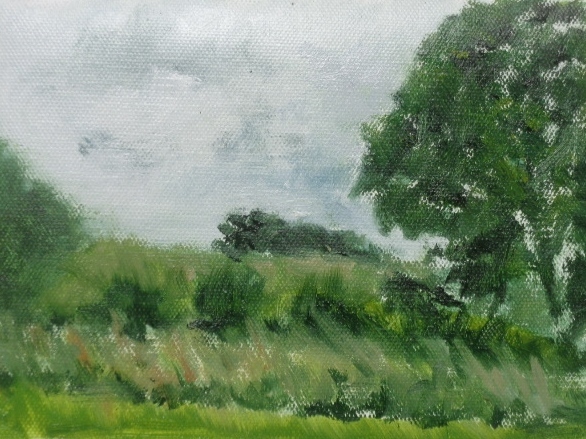 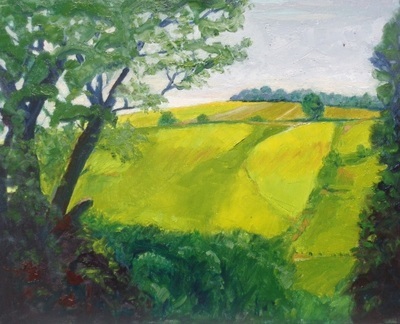 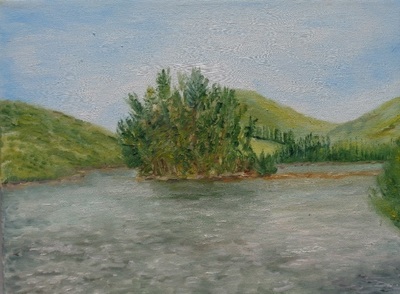 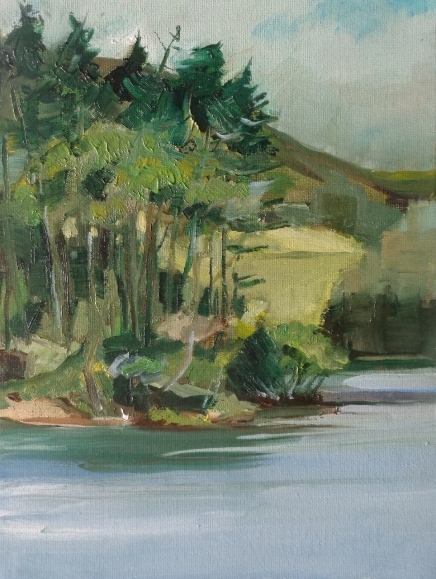 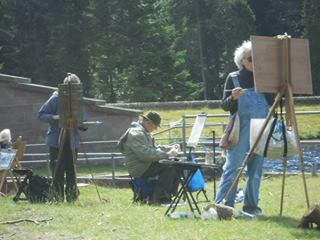 Plein air painting in oils. All materials provided. 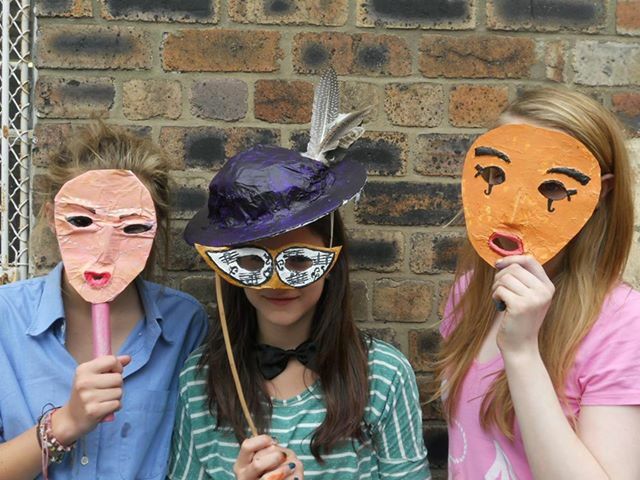 £60 each or £150 for all three. 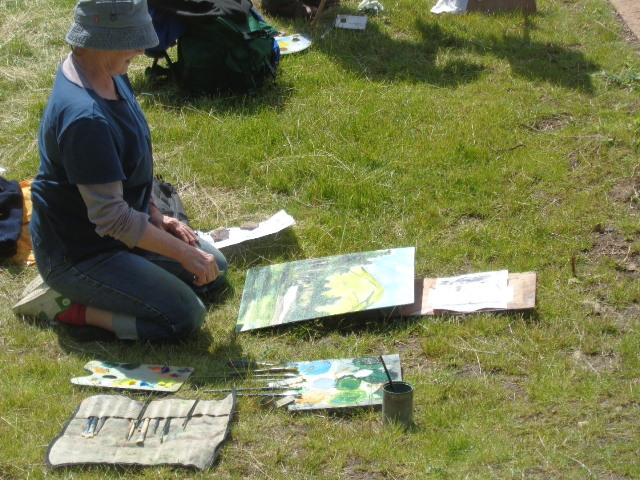 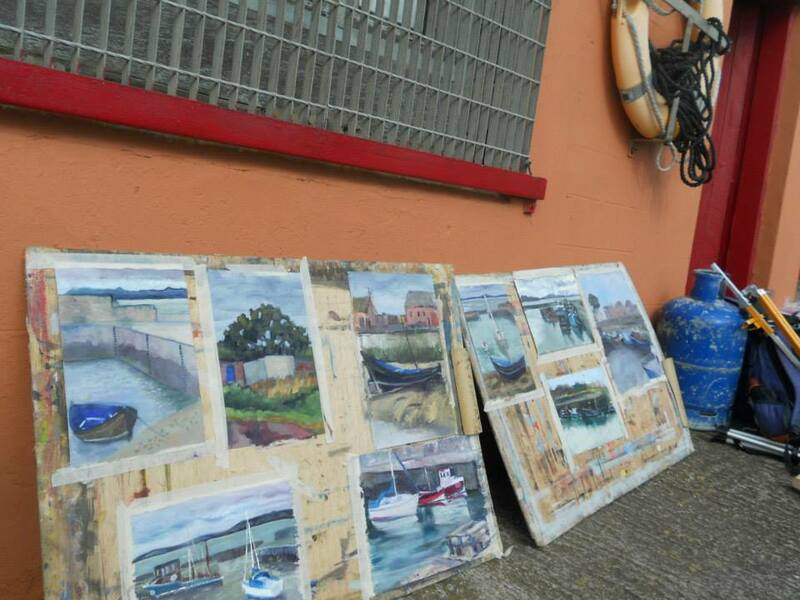 Each of these workshops will begin with a demonstration of different aspects of alla prima oil painting outdoors including, composition, mixing colour and paint handling. 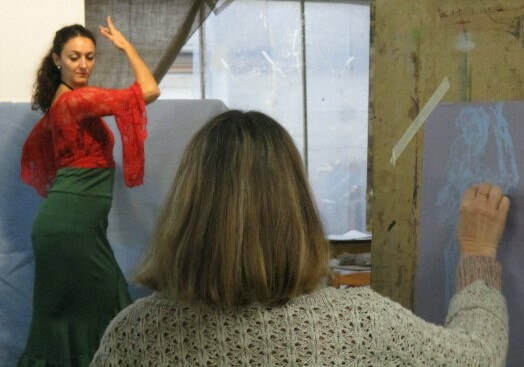 The classes can be taken individually or as a set of three. 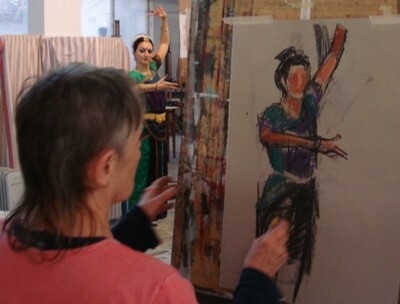 Working with dancers and sports models at WASPS Studios Dalry these workshops will use mixed media, including pastels, inks and collage to explore the theme of the moving figure. 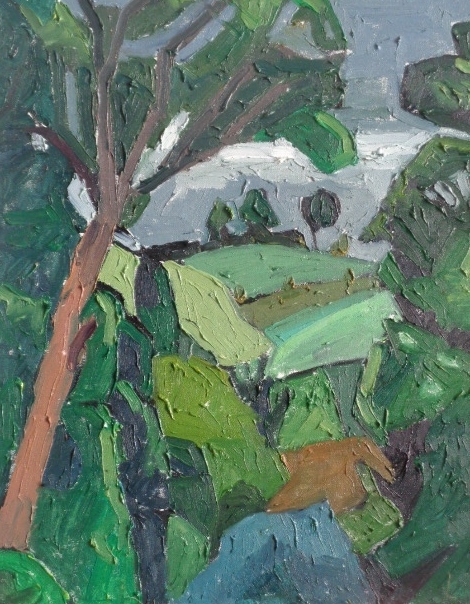 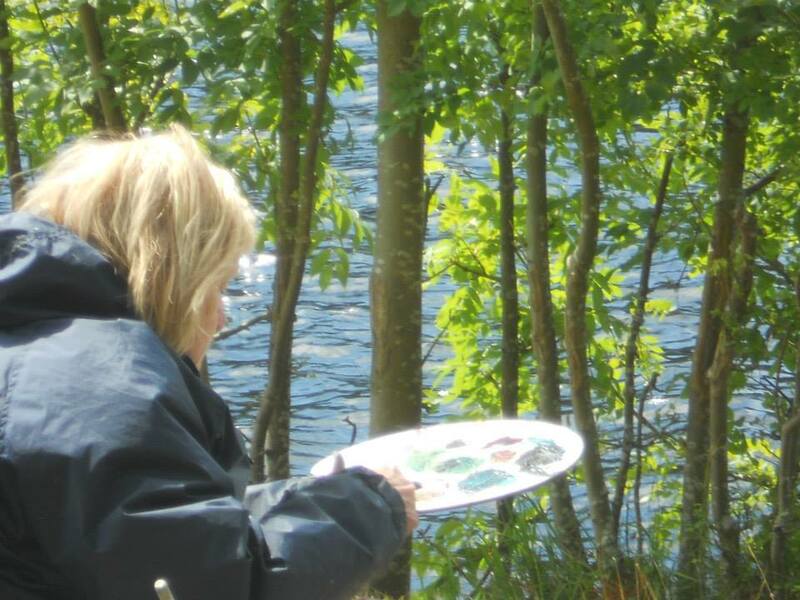 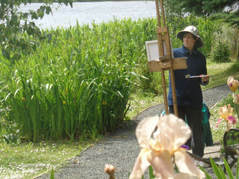 ​PAINTING THE MODERN GARDEN - Plein air painting at Dr. Neil's Garden. 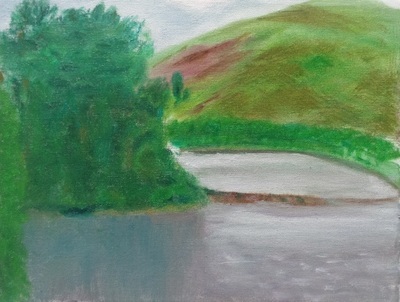 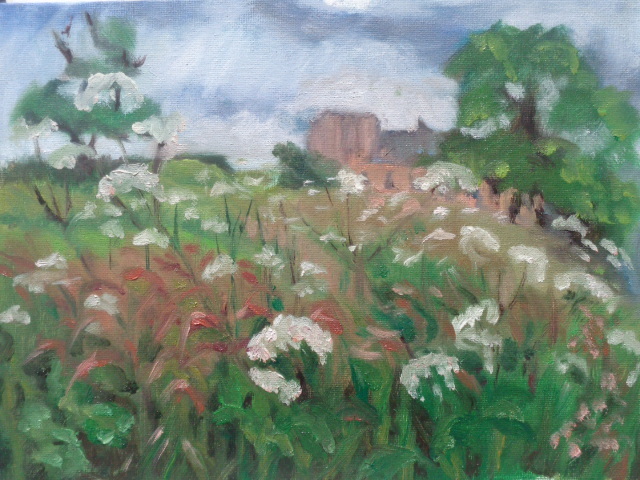 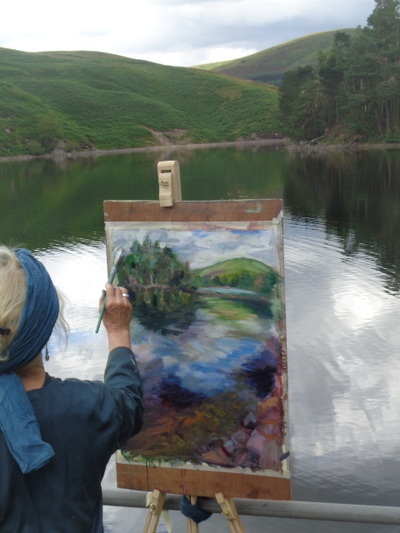 Based in the spectacular Dr. Neil's Garden, Duddingston, students began with chalk pastel studies and develop these into alla prima oil paintings on canvas. 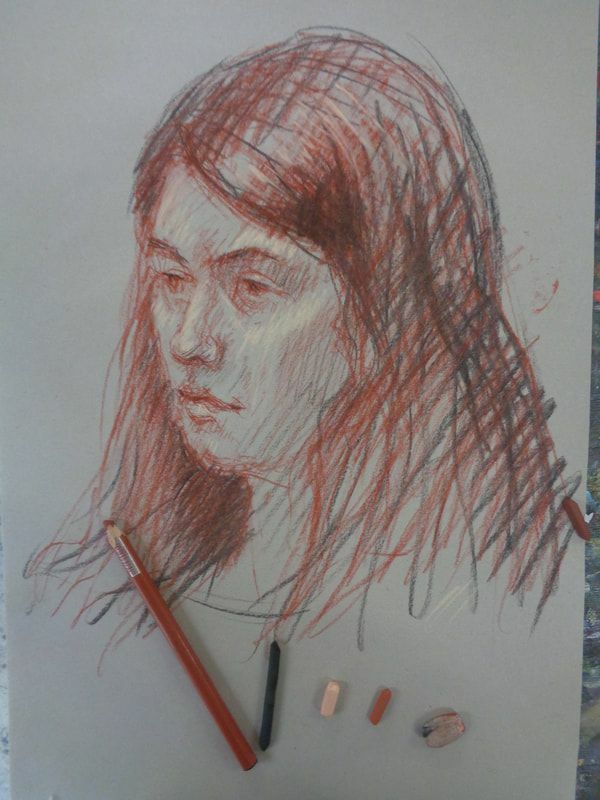 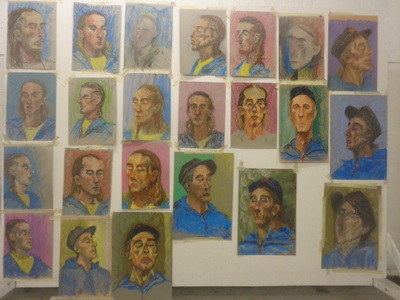 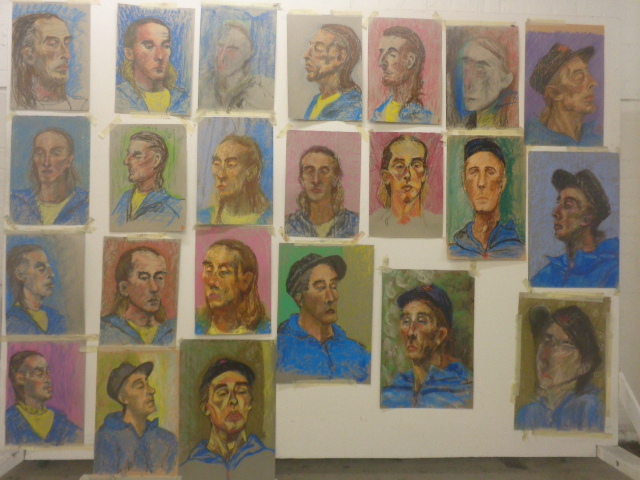 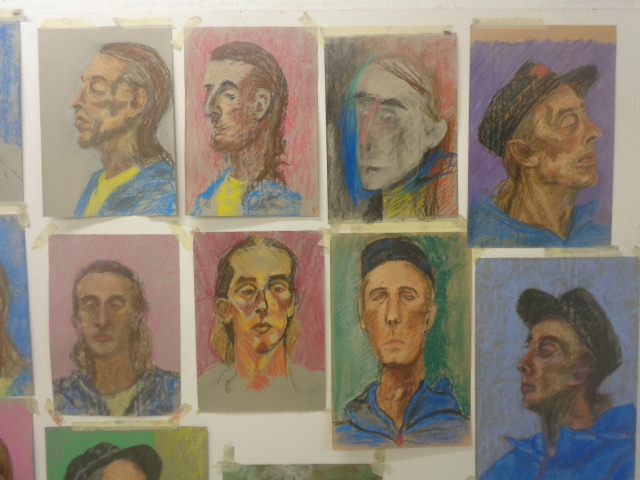 Working at 5 different locations over the course of the week, students began with quick colour studies in chalk pastels, before developing some of them in to alla prima oil paintings on canvas. 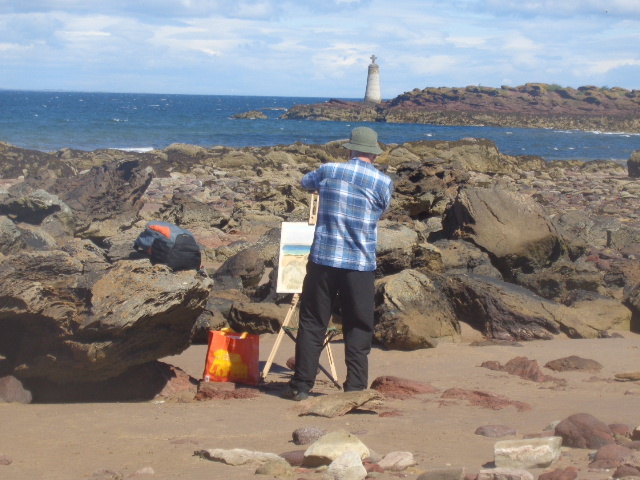 Locations included Port Seton, Seacliff and Temple. 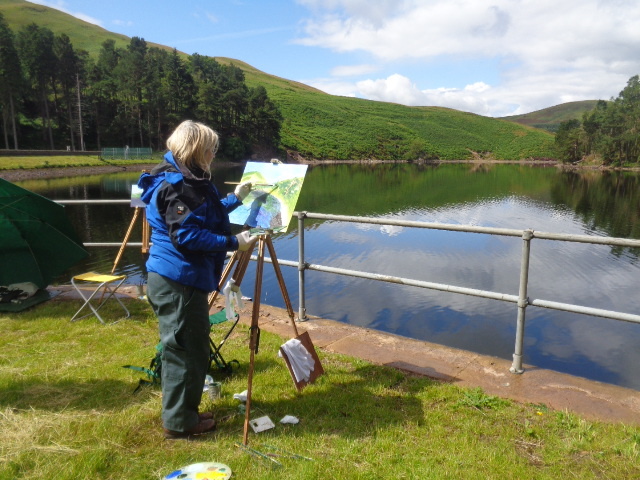 This course has now finished and in spite of brilliant sunshine, monsoon rains and homicidal midges, a good and productive time was had by all - and the quality of painting produced speaks for itself. 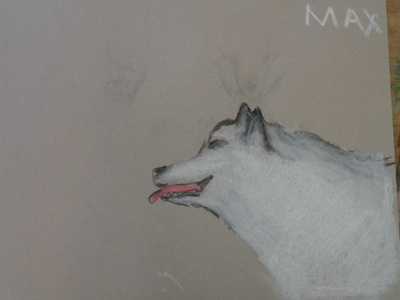 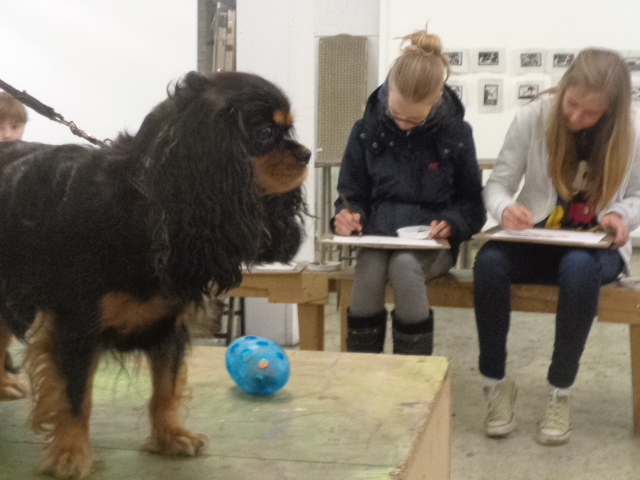 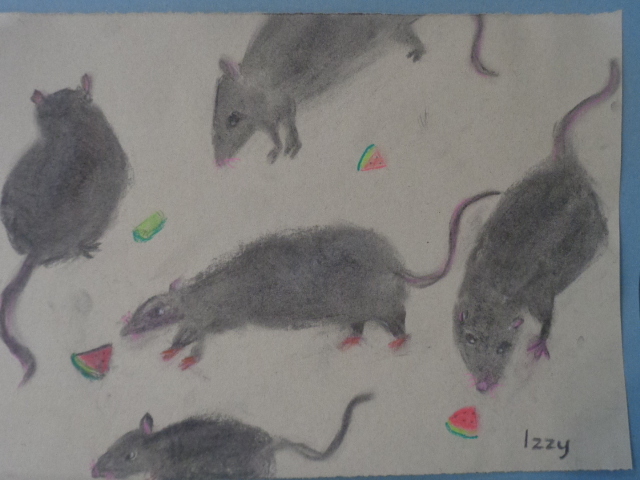 Drawing animals at the museum and at a farm as well as having pets come to the studio to have their portraits done.